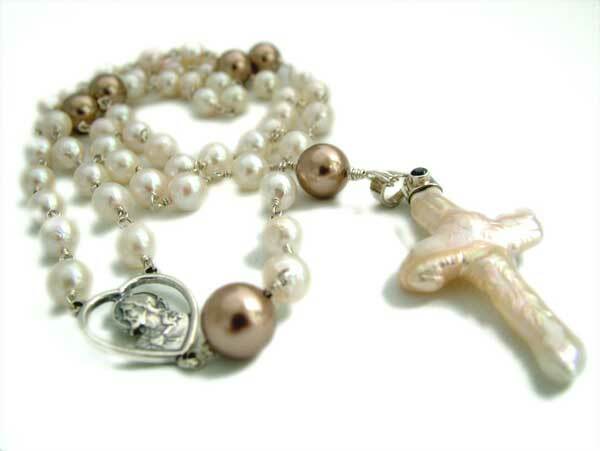 This is a special, special handmade rosary. One of my very first, if not the very first. 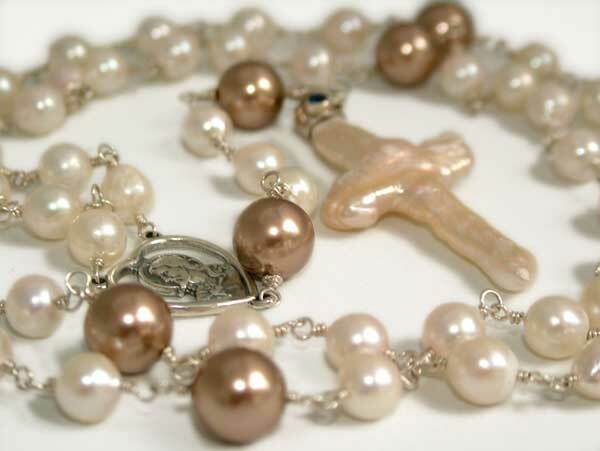 From the deep sea beds of the oceans to the merging with the brilliance of Swarovski Crystal Pearls, this Pearls of Worship rosary is crafted in homage to the enduring calmness that prayers and rosaries contain. This next photo shows the rosary in its entirety. I am not quite sure what happened to the colors here. Possibly I might have used a flash. For the truer colors, refer to the other photos. Nonetheless, I still like this shot so I have included it here. Every single bead has been linked with multi-coiled closed loops for maximum security. 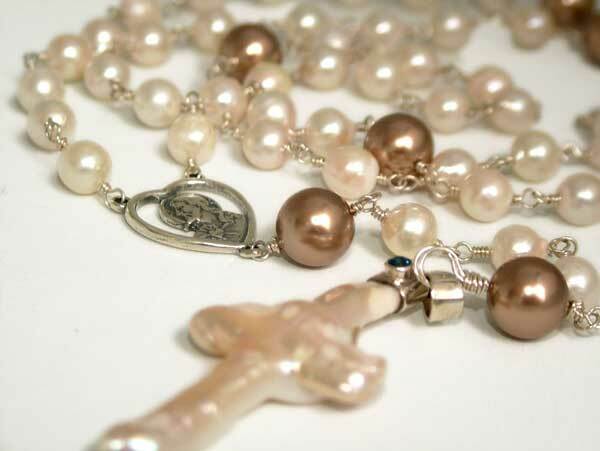 It is not possible to drop or lose a bead or break the rosary unless extreme and intentional force is applied. There are some short notes on the construct of this rosary in the general notes and tips on Handmade Rosaries.